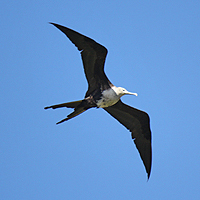 Diving birds are birds which plunge into water to catch fish or other food. They may enter the water from flight, as does the Brown Pelican, or they may dive from the surface of the water. More than likely they evolved from birds already adapted for swimming that were equipped with such adaptations as lobed or webbed feet for propulsion. 16 different species of diving birds occur in Utah. Photo Credits | Alpha Codes? | Abundance?